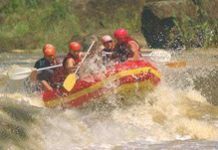 South Africa is blessed with fantastic rivers, beautiful scenery, and a climate made for the outdoors enthusiast, so if you're looking for action of the paddling variety, you're in for a treat. Expert Tours , in Walmer, Port Elizabeth, specialises in dive tours and dive adventures within South Africa, Mozambique, Namibia, and Botswana. The company has been involved in numerous film productions, including of the Sardine Run, diving with elephants and crocodiles, and free diving with whales and sharks. Ocean Divers International Port Elizabeth has been in business for over 25 years and boasts a flawless safety record. The retail shop is located in Walmer and is a one-stop dive shop, offering equipment, rentals, and the "We drive You dive" concept in which customers are taken to different launch sites. There are plenty of options located inside and outside of the Port Elizabeth Bay, including reefs, wrecks, and shark diving. Outdoor Focus , in Port Alfred, provides speciality diving and leadership diving courses, the DAN Oxygen Provider course and first aid courses, as well as skippers' tuition for those seeking a skippers' licence. Pro Dive Port Elizabeth is a PADI five-Star Dive Centre offering diving courses and charters in Port Elizabeth and Plettenberg Bay. Also on offer is equipment rental, snorkelling, shark tank dives, equipment sales, and dives at sites in South Africa, the Maldives, the Red Sea, Zanzibar, and Indonesia. Specialised Diving Academy is based in Bloemfontein. It offers a fully- stocked shop and PADI courses, with training taking place in Bloemfontein and at Aliwal Shoal. Accomodation is provided at Umkomaas Lodge. 2 Dive 4 Scuba offers scuba courses at either Bass Lake or Miracle Waters, gear, and equipment. 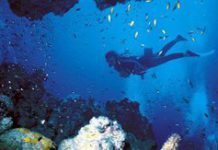 It also offers diving trips to Sodwana Bay, Aliwal Shoal, and Protea Banks, as well as beyond the borders of South Africa to Mozambique, Zanzibar, and the Red Sea. 4 Ways Scuba is located in the Fourways Mall in Johannesburg. If offers a multitude of scuba diving courses and equipment, as well as diving in Aliwal Shoal, Sodwana, Madagascar, the Comores, Zanzibar, the Maldives, the Red Sea, and Thailand. AHA Dive Centre is located in Centurion. It offers scuba diving courses, with 11 instructors attached to the centre, doing training from open water diver to instructor trainer. In addition, it retails dive equipment, and offers diving at a number of locations in Mozambique. Aquazoo Scuba is located in Roodepoort in Gauteng. For those undecided on whether or not scuba diving is for them, they offer free Scuba Experiences on most Saturday mornings. Other diving courses are also offered, while diving is also done in Sodwana Bay, the Mozambique, and the Red Sea. Calypso Scuba Dive and Adventure Centre in Northcliff, Johannesburg, does on-site training in a heated pool/aquarium. Classrooms and shopping are also on-site, as well as servicing on all diving equipment. Trips are taken to as far afield as the Red Sea. Dive Locker can be found in Randpark Ridge, Johannesburg. It offers PADI diver training, equipment sales, equipment servicing, gear rental, second hand gear sales, and air fills, as well as local and foreign dive travel, including to Aliwal Shoal, Rocktail Bay, Mozambique, Zanzibar and the Red Sea. The Dive Shop is located in Roodepoort. It stocks a wide variety of scuba diving gear and diving accessories. It offers PADI diving courses, from the basic open water level, right up to Dive Master and Specialities. Diving trips are undertaken to Sodwana Bay and locations in Mozambique. Dive South Africa specialises in scuba diving safaris and holidays in Southern Africa and Mozambique. A recognised BSAC dive safari operator, they make use of local BSAC, PADI, NAUI, CMAS and SSI recognized dive charters and resorts in South Africa and Mozambique. Packages feature dives with many types of sharks, rays, and the Sardine Run. They're based in Faerie Glen, Pretoria. Divetek, which is based in Randburg, Johannesburg, sells diving equipment, services it too, and offers training courses. They have instructors for many different qualifications, including NAUI, ISDA, SAUU, CMAS, TDI, Divetek, and their recommendation PADI. Dive Travel Centre, in Craighall, Johannesburg, offers diving courses and tours to locations all along South Africa's coast line, including diving with sharks, whales, and cage diving with Great White Sharks. In addition, diving tours are also undertaken to Zanzibar, Mozambique, and the Red Sea. East Rand Scuba has an indoor pool in which they conduct training. Sharklife courses, including ocean conservation, the Ragged-Tooth Shark, the Bull Shark, the Tiger Shark, Black-Tip Shark, Great White Shark, Manta Ray, and Whale Shark are available. Excursions are taken to various sites, including to Mozambique. Flippers to Fins Scuba Academy, in Midrand, organizes regular excursions to Sodwana, Aliwal Shoal, Protea Banks and Mozambique. They present courses with a focus on dive safety and environmental conservation. Geko Divers, a PADI dive centre situated in Protea, presents diving courses, offers online shopping, and travel to many different dive sites, including Mozambique, Sodwana Bay, Aliwal Shoal, Wondergat, Badgat, Miracle Waters, Bass Lake, Cape Town, and even such far away destinations as Cuba, Phuket in Thailand, and wreck diving in Denmark and Greenland! Hartley's Oceans and Islands, located in the north of Johannesburg, specialises in Island holidays with particular specialist knowledge on scuba diving. It offers holidays to remote island and beach wilderness destinations all over the world. In South Africa, shark and wreck diving is undertaken along the coasts of the Cape and KwaZulu-Natal, as well as a little further north in Mozambique. Liquid Edge Technical Diving offers technical courses from NAUI, TDI/SDI or IANTD in both English and Afrikaans. It has a school in Northcliff, Johannesburg, and a shop at Calypso on Beyers Naude Drive. Liquid Edge also sells technical equipment. At the sites it visits, you can search for the famous Coelocanth, go Great White Shark spotting, take in the sardine Run, and visit Bosmansgat, the third largest water-filled cave in the world. O² Scuba can be found in Sandton, Johannesburg. They sell equipment, host courses specialising in PADI, and organise tours to Sodwana Bay, the Aliwal Shoal, and Mozambique. Ocean Dreamers is based in Pretoria and offers NAUI and PADI courses. They also offer dives at Miracle Waters, Sodwana Bay, Bass Lake, and Mozambique, among other destinations. Ocean Vision , based in Pretoria, is primarily a provider of under water learning, focusing on underwater naturalist, ship wreck diving and ocean knowledge development that includes shark diving courses. Guided tours of shipwrecks and marine environments include coral reefs off the South African coastline. Ocean Vision also offers a variety of diver instruction for the beginner through to master scuba diver and dive master professionals. Reef Divers is located in Brooklyn in Pretoria. They offer PADI courses, a dive shop, and travel, including locally and abroad. Scuba Centre is based in Randburg. It has an on site pool and lecture facilities, and welcomes freelance instructors. It also has equipment for rental and offers limited free airfills. In addition, Scuba Centre has another shop in Tyger Valley in the Cape. ScubaQ is situated in Springs, Gauteng. It teaches scuba diving through numerous courses, and offers wreck diving, diving with sharks, and scuba diving equipment. Excursions are undertaken in South Africa, as well as Mozambique, Mauritius, Zanzibar, the Seychelles, Madagascar, Australia, Hawaii, Indonesia, Thailand, Malaysia, Bali, and the Red Sea. Scuba Scene has three branches, in Menlyn, Greenstone, and Centurion. It provides equipment and training. It is also associated with Oxygene Diving, which has dive centres and liveaboards in Sweden, Finland, England, Malta, Egypt, Philippines, Pemba, Croatia, Estonia, Canada, Thailand, Tenerife, Indonesia, South Africa and Mozambique. Scuba World International is based in Linden, Johannesburg. It offers NAUI courses, as well as specialities, including Advanced Swimming, Shark Diver, Night Diver, Underwater Environment, Deep Diver, Underwater Photography, Search and Recovery Diving, Training Assistance, Scuba Rescue Diver, and Advanced Scuba Rescue Diver. Equipment is also for sale. Diving destinations include the Red Sea, Sodwana Bay, Guinjata Bay in Mozambique, and Wondergat. Scubaversity is a club located in Roodepoort. It hosts courses and has four lecture rooms, a showroom, store and workshop, in addition to a recreation area that includes a bar and pool table. The pool is uniquely adapted for scuba training. Trips are made to various destinations, including Mozambique, Lesotho, Wondergat, and Sodwana. Twin Palms Dive Emporium is the first National Geographic-accredited dive centre in South Africa. 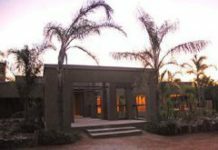 It is located only 10 minutes from the OR Tambo International Airport in Johannesburg and offers onside pool facilities, accommodation, restaurant, lecture rooms, and a dive shop. Twin Palms is a five-star PADI Centre which specialises in master scuba dive training. It organises regular tours to among others, Malongane, Ponta do Ouro and Guinjata in Mozambique, and Sodwana and Aliwal Shoal in KwaZulu-Natal. Adventure Diving Safaris, on the KwaZulu-Natal south coast, just 25 minutes from Durban, offers scuba diving at the reefs and wrecks of Aliwal Shoal, Protea Banks, Rocky Bay, Gansbaai, Mossel Bay, and in Mozambique. The diving includes Great White Shark cage diving, and diving for the gentle giant of the deep, the Whale Shark. Africa Dive Adventures, operates from the Shelley Beach Ski Boat Club and offers diving at Protea Banks, in Mozambique, and also during the famed Sardine run. It also focuses on diving with sharks, including the Ragged-Tooth Shark and the Zambezi Shark. Africa Dive Expeditions operates out of Umkomaas on the KwaZulu-Natal south coast. They are a dive operation, with a big focus and emphasis on ocean/shark reseach and conservation. Different trip packages are available to locations such as the nearby Aliwal Shoal, Sodwana Bay, Rocktail Bay, and southern Mozambique. African Watersports is concerned with the exploration and preservation of the Aliwal Shoal. It also offers combination tours - on land and in the water. It is located in Umkomaas, close to the Shoal itself, where most of the diving is concentrated. African Odyssea, operating out of Shelley Beach, is the founder dive operator on Protea Banks, which pioneered safe cageless diving with Bull Sharks (Zambezis), Tigers and Great Whites. Trevor Krull offers a unique dive safari through southern Africa. Casual day divers are also welcome. Aliwal Dive Centre , on the KwaZulu-Natal south coast offers diving with Ragged Tooth Sharks, Tiger Sharks, Manta Rays, Dolphins and Whale Sharks. The world famous Sardine Run is another possibility. Diving courses are also on offer, as well as gear for hire, and accomodation is available on site at the Aliwal Dive Lodge. 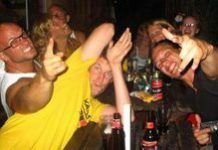 Aliwal Rest & Dive is a self-catered accommodation and dive charter located in Umkomaas, close to the famous Aliwal Shoal. They also offer training and tours. Aliwal Shoal provides a guide to dive operators and accomodation at the famous diving site located off of Umkomaas on the KwaZulu-Natal south coast. The Aquaplanet Dive Centre is located in Shelly Beach on the KwaZulu-Natal south coast. Their offerings include baited shark diving and the Sardine Run. The sites they visit include Protea Banks, Aliwal Shoal, the Aquarium at Ushaka Marine World and, for advanced divers, a couple of wrecks. They present a large number of courses and have a well- stocked shop. Blue Wilderness is an underwater filming logistics and expedition company. They operate from the south coast of KwaZulu-Natal and organise expeditions to Struis Baai, the Aliwal Shoal, the Sardine Run, and Botswana's Okavango Delta. Champion free diver, Hanli Prinsloo, also teaches a course on free diving techniques, and the Chokka Run, which offers an an interesting insight into the life of the Chokka squids. Coral Divers operates a dive camp at Sodwana Bay in KwaZulu-Natal, offering dive packages, equipment hire and accommodation, as well as various PADI dive courses. Dive Den Scuba is located in Newcastle, northern KwaZulu-Natal. It's a dive shop that sells and rents out equipment, as well as a club. They also present diving courses, with club members receiving discounted prices. Diving trips are undertaken to among other sites, Sodwana, Mozambique, and Aliwal Shoal. Diving with Sharks operates out of Scottburgh and is led by Debbie Smith, the first woman from Africa to be elected into the international Women Divers Hall of Fame. It is an eco-tourism company specialising in shark conservation and research diving, shark conservation courses and shark diving, ocean awareness courses for divers and non-divers, PADI dive courses, dive expeditions, casual diving, and diving at the Aliwal Shoal and during the Sardine Run. H20 Scuba is a scuba dive resort situated very close to the Uvongo Beach and lagoon on the KwaZulu-Natal south coast. It offers a wide variety of courses and has a saltwater pool on the premises. Dives are done at Protea Banks. KwaMnandi Lodge is located in Umkomaas, perfectly position to access many of South Africa's prime diving sites. It offers accomodation, as well as daily dives to Aliwal Shoal, Rocky Bay, Protea Banks and Gansbaai. There are also regular dive excursions to Sodwana Bay and Southern Mozambique. Mako Diving offers practical diving and skipper training at Sodwana Bay, in addition to accommodation at Rod's Lodge and ocean charters. The courses are not aimed to provide certification, but to introduce non-divers to diving. Meridian Dive Centre is located on the KwaZulu-Natal south coast. It offers RAID and PADI courses. In addition, dive safaris include the Sardine Run, coral reef diving at Sodwana, and Tiger Shark diving. Great White Shark cage diving is included, and other destinations include Aliwal Shoal, Mozambique, Protea Banks, and Rocky Bay. Oceanworx provides a total diving experience, including accommodation only one minute from the Umkomaas Dive Centre. Most of the diving is done at the Aliwal Shoal, where diving with sharks is a speciality. The Sardine Run, which usually occurs some time between May and July, provides remarkable diving opportunities. Pendragon Diving , based near the Aliwal Shoal, near Umkomaas, Pendragon Diving offers extensive dive instruction. It offers diving at Aliwal Shoal, wreck dives to The Produce and The Nebo, and superb Tiger Shark dives. Pendragon Diving also boasts extensive experience of underwater filming. Reefteach is located in the diving hotspot of Sodwana Bay. It offers diving courses and environmental courses, and luxurious accomodation is available at Reafteach. Diving takes place at Sodwana Bay on a variety of reefs, each offering something different and special. Sea Escapes is based in Sodwana Bay. They offer diving at Sodwana at seven different reefs. In addition, they also offer turtle tours. Self-catering accomodation is available at Toad Tree Cabins. The Shoal operates in Umkomaas and has a dive centre and caters for diving enthusiasts of all capabilities. It offers training in the PADI and SSI systems, from open water level to instructor. Gear is available for rental, and among the higlights of options available is diving with Tiger Sharks. Triton Dive Charters and Lodge is located at the diving hotspot of Sodwana Bay. It specialises in "the deeper side of diving"; in 1998 it initiated, organised and hosted the Wright Canyon Expedition, which is where the search for the elusive coelacanth started in Sodwana Bay. It took until October 2001, but the famous fish was finally found. Triton also provides accomodation, courses, and equipment hire. Umkomaas Lodge Dive Charters is a PADI Gold Palm scuba diving resort. 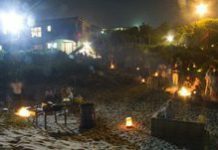 It is situated on the beach, only a stone's throw from the mouth of the Umkomaas River, and offers accomodation as well as plentiful diving options. These include PADI courses from open water to dive master to instructor. Diving with Ragged-Tooth and Tiger Sharks is available. Underwater World, in Durban, specialises in the retail and maintenance of diving equipment and Scuba Dive training courses that include beginners, up to instructor's courses. The company is affiliated to both PADI and NAUI. Dives are undertaken to locations all over the world, including in Micronesia, Malaysia, Mozambique, and at local dive sites. Buddy Scuba Diving Adventures, in Witbank, offers recreational and technical scuba diving courses. Among their offerings is personalised underwater video photography, Spear fishing, and charters to Sodwana Bay, as well as other local destinations. Dive the Big Five , located in White River, specialises in scuba diving and wildlife safaris. The dive sites include the Cape Peninsula, Gansbaai, Sodwana, Protea Banks, and Aliwal Shoal, as well as a number of locations in Mozambique. The diving expeditions can also be combined with wildlife expeditions. All About Scuba has shops in Klerksdorp and Rustenburg. Dives are offered in Sodwana Bay, Mozambique, Egypt, and Indonesia, and an extensive list of equipment is available. Adventure Bookings offers shark diving in Simonstown, at the Two Oceans Aquarium in Cape Town, at Protea Banks, Mossel Bay, and Gansbaai, famous for its Great White Sharks. 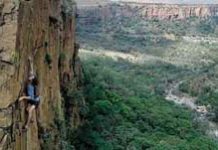 Adventure Bookings is an online adventure travel office, which offers a fast and easy service for booking adventure experiences throughout South Africa. Africa Dive Safaris is a professional booking agency, located in Kleinbaai, aimed at ensuring excellent holiday experiences. It features Great White Shark cage diving, White Shark breaching, whale watching and scuba diving tours in South Africa and Mozambique, as well as Cape Town and Garden Route tours, aerial tours and wildlife safaris. Africa Shark Dive Safaris operates out of the Great White Shark hot spot of Gansbaai. A variety of tours are on offer, including, among others, shark cage diving, shark breaching, whale watching, and scuba diving at Aliwal Shoal, Protea Banks, and Sodwana Bay. The Alpha Dive Centre is in Main Road, Strand, Cape Town. It offers diving courses, equipment, sales, services, airfills, and dive trips in Gordons Bay and False Bay, as well as Rooi Els and Simonstown. There is wreck diving too, and seals and sharks abound. Bubble Blowers is a scuba dive centre, based in Cape Town. Instruction in both NAUI and PADI is done in an onsite training pool. Bubble Blowers also offers regular scuba charters around the Cape Peninsula, as well as to more distant locations around South Africa and Mozambique. Dive Action Cape Town is a one-stop shop for PADI, NAUI and IANTD training, scuba gear purchasing and servicing and recreational scuba diving. Wreck and reef dives are available in both the Atlantic and Indian Oceans, with a total of 32 sites on offer. Duck 'n Dive is a Cape Town dive shop that retails diving equipment and accessories. It is also a dive school, offering a number of different courses, including rescue diver and master diver courses, as well as an organiser of tours, including to Hermanus and Mozambique. Electrodive is located in Mossel Bay. It offers diving courses; first aid courses; boat charters and rides; scuba and spearfishing; equipment sales, rental, and servicing; air fills and cyclinder testing; and the playing and coaching of underwater hockey. Dives are undertaken to a number of sites, including Santos Reef, the Santos Wreck, Mitch's Reefs, Sponge Reef, Phluffy Reef, Butterfly Wall, Windvogel, and "Dolosse". Hippo Dive Campus is located at the Knysna Heads in Knysna. It offers shore entry dives to the wreck of the Paquita and Tapas Jetty, where the famous Knysna Seahorse may be found. Hippo Dive Centre is a PADI dive centre, with courses ranging from Discover Scuba Diving up to Instructor level and Emergency First Response. It features a shop that carries a full range of diving equipment, and servicing. Into the Blue Dive School, in Cape Town, presents a wide variety of PADI courses, from Discover Scuba to Dive Master to Diver specialities. Various types of dives are also available, including at the wrecks of The Maori and the SAS Pietermaritzburg. For a big thrill, shark cage diving takes place at False Bay and Gansbaai, two of the best spots in the world to watch the Great White Shark in action. Learn to Dive Today is Cape Town-based, and is run by diving instructor Tony Lindeque, whose core credentials include Divemaster, Master Scuba Diver Trainer, and Emergency First Responder (EFR) Instructor. The courses cover a wide range of abilties and experience and include specialities such as underwater digital photography. Ocean Logic International offers IANTD and NAUI free diving courses. Trevor Hutton is the man behind the business, which is located in Noorder Paarl, and his list of achievements includes a free immersion world record, established in Namibia in 2001. Orca Industries is located in Claremont, Cape Town. It has a workshop dedicated to the servicing of scuba equipment, and also does repairs to backpacks, tents, bags and general hiking equipment. They also sell underwater cameras and accessories. In addition, Orca offers NAUI and PADI courses, including a number speciality courses. Pisces Divers, South Africa is a PADI dive centre located just a few metres from the False Bay coast in Glencairn which offers all levels of PADI dive training from beginner to professional level, as well as diving equipment rental and sales, a servicing workshop, and an airfill and nitrox service. It also hosts wreck and reef dives, including at the SAS Gelderland, the Ark Rock Barge, the Brunswick, the Glencairn Barge and Reef, the SAS Good Hope, the SAS Fleur, and the Lusitania. Pro Seafaris is based in Cape Town and offers drive and dive packages to, among others, Mozambique and the Sardine Run. They offer a choice of 15 different wrecks and South African sites include Cape Town, Plettenberg Bay, Protea Banks, Aliwal Shoal, and Sodwana Bay. Scuba Diving South Africa is located in Noordhoek, Cape Town, close to to False Bay and its multitude of spectacular and beautiful dive sites. It's run by Justin Villiers, an experienced PADI scuba diving instructor who has dived all round the world. Scuba Dive South Africa offers a variety of PADI courses, from beginner to the more advanced. They also offer equipment rental, as well as accompanied boat and shore dives. Scuba Shack has two PADI dive centres in Cape Town: one is a five-star instructor development dive resort and the other a purpose-built training centre in Kommetjie with its own training pool. The retail shop is filled with dive equipment and accessories. Reef diving is offered in False Bay and in the Atlantic Ocean. There are also a number of wrecks that can be dived, including the SAS Pietermaritzburg, which was scuttled in 1994 to form an artificial reef in False Bay. Shark Bookings operates out of Gansbaai, a hot bed for Great White Shark viewing. They offer diving at Aliwal Shoal, Cape Town, and Protea Banks. They also dive at other destinations around the world. Besides the Great White, other sharks include the Great White, Blue, Mako, Tiger, Bull or Zambezi, Ragged-Tooth, and the Hammerhead. The gentle Whale Shark can also be viewed. The Great White House, in Kleinbaai, offers African cottage-style accommodation, superb food, whale watching and Great White Shark cage diving tours in Gansbaai. The Two Oceans Aquarium in Cape Town offers dives with Ragged-Tooth Sharks, rays, and turles in the I&J Predator Exhibit. Fish may also be fed in the Kelp Forest Exhibit. There are numerous other attractions for visitors to the aquarium and the venue caters for the physically disabled. Underwater Explorers are situated in Cape Town. Their primary focus is the provision of technical dive courses. They offer a wide variety of dives, including, among many wrecks available, those of the SAS Pietermaritzburg, the SS Lusitania, the SAS Transvaal, the SAS Goodhope, the SAS Fleur, and the SAS Bloemfontein. Unreal Dive Expeditions, in Cape Town, offers a number of shark and scuba diving expeditions that also include diving with whale sharks, the humpback whale and the sardine run. The diving takes place in the Cape, along the Garden Route, and in KwaZulu-Natal, as well as is Mozambique. White Shark Projects is located in Gansbaai, the world capital of the Great White Shark. Diving is done in a cage, able to hold four to five people, and divers get to spend about 20 minutes with the ocean's most feared predator. All diving and safety equipment is provided. 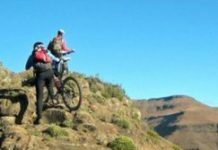 The Ride to Rhodes, an annual six-day challenge that takes mountain bikers on a 500-kilometre trail through some of the most rugged and beautiful countryside on the planet, is more than a race. It's a journey into the heart of South Africa, as well a unique personal challenge. The 2009 Freedom Challenge, also known as the Race Across South Africa, started in Pietermaritzburg on Saturday. 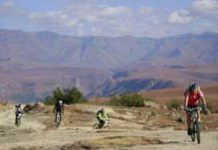 A courageous - some would say mad - field of 60 mountain bikers are tackling a 2 300-kilometre route that covers the full range of the country's spectacular terrain. Backpacking accommodation in South Africa's Free State, Limpopo, Mpumalanga, Northern Cape, and North West provinces. Backpacking accommodation in the Western Cape province of South Africa. 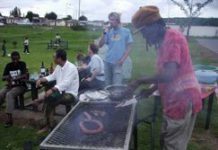 Backpacking accommodation in the KwaZulu-Natal province of South Africa. Backpacking accommodation in the Gauteng province of South Africa. 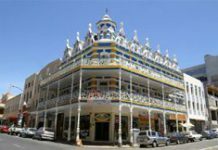 Backpacking accommodation in the Eastern Cape province of South Africa.